What are your predictions for what will happen for the remainder of this season? Here's mine. So good to have you back Ned, the board has really struggled with its post count. Ned please dissappear again your a boring t**t have to admit that. If anyone else had posted similar at this stage of the season people would be replying with their suggestions not just laying into him. We won't win League 2, but I more or less agree with the league 2 predictions, optimistic as I am. Chelsea will pip Spurs to 4th, not sure about Prem relegation. Fancy Leeds for a return to the Premier League, more play-off heartache for Cardiff! Completely OTT hostility - just ignore the thread if you're not interested. Blackpool staying up and Cardiff staying down btw. Sorry to say I agree that Leeds are looking good to get back to the top level, although I think Norwich could come through the play offs and there are some good dark horse bets - Burnley and Leicester. Bournemouth can't be promoted - I was convinced of that last season and I won't be wrong twice! Charlton looking a good bet to join Brighton and Southampton. Walsall will stay up, Daggers probably won't, although I hope they do. If we go up, we might have some new ex-players to haunt us next season - Symes, Pugh, Hibbert, Langmead, maybe even Davies the way Derby are dropping. If Cardiff don't go up I will eat my hat. To ensure fairness for when this thread is inevitably saved as a result of this very comment, please state design, material and colour and provide an approximate photo from Google so there aren't any get out clauses. No offence, but none of you have seen Cardiff City play this season.... not in person, anyway. What's that got to do with it? You've made a pledge, be man enough to back it up. This isn't bullying or even saying you're wrong - but if you truly believe it, have the balls enough to play along. What have you got to lose? Well, a hat I suppose. You're the one who put it in writing, no-one forced you to. Ned didn't you predict Stockport to go up? All i'm saying is that I doubt that Cardiff will be a Championship side next season. If i'm wrong then i'm wrong, it's just an opinion. So the hat's not going to get it if they don't? I think the same could be said of you and Shrewsbury Town. Considering i've been to see Shrewsbury Town this season, I suggest you retract that statement. Leeds Utd 0-4 Cardiff City. Cardiff City 2-1 Leeds Utd. I saw them against Derby - and I'm pretty certain it counted as "in person", seeing as I was in Pride Park at the time - and watching them on the pitch. So how about you retract your statement? Typical early season encounter, both sides still feeling each other in the first half out but good entertainment - City deserved the win from the second half performance. Cardiff certainly didn't look like a team who'd needed extra time to beat Burton a few days before (some good banter from the Derby boys on that). Ned that's a p**s poor line to throw out there. You listed Man Utd to win the league, have you been to see them this year etc? One reason I'm not keen on Cardiff to go is that the majority of the best players in the squad are not actually owned by Cardiff, good work getting them in on loan but I'd personally rather see Leeds or Norwich back in the big time. No because we watch the team we claim to support and post on the messageboard of. I will love it if Cardiff go up. 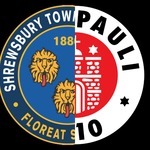 As much as if Shrewsbury did? Ned, surely you can understand the provocative nature of your posts, any one would think you enjoy it?